TUBEFIT ENGINEERS are engaged in the business of Design, Engineering, Manufacture of Tube Fittings, Pipe Fittings, Instrumentation Valves, Air Headers, Condensate Pots, Manifolds, Tailor made products, Accessories etc. with a commitment of meeting stiff demands on quality, performance, reliability, complying with International Standards. TUBEFIT’s ferrule compression Tube Fittings provide leak proof torque free seals at all tubing connections. 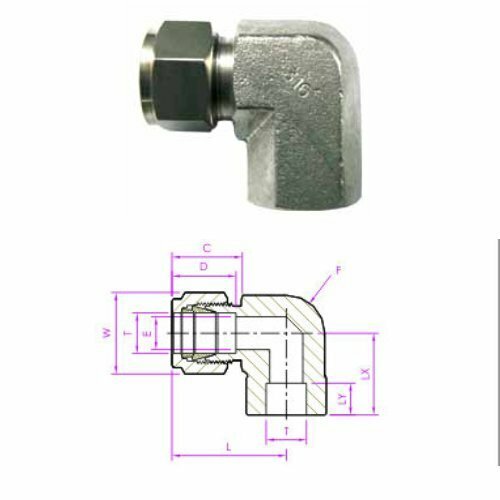 The basic Single Ferrule Tube Fittings is a three piece Fitting consisting of the Nut, Ferrule and Body. When installed, it becomes a four piece connection with the addition of the tubing providing a solid leak free joint. Female Connector, Male Connector, Pipe Union, Union Cross, Ball Valve.